A surface parking lot, rare in San Francisco, is being transformed into a five story office structure. Located a block away from South Park, epicenter of the dot.com universe, the building will house Dropbox Incorporated when completed. 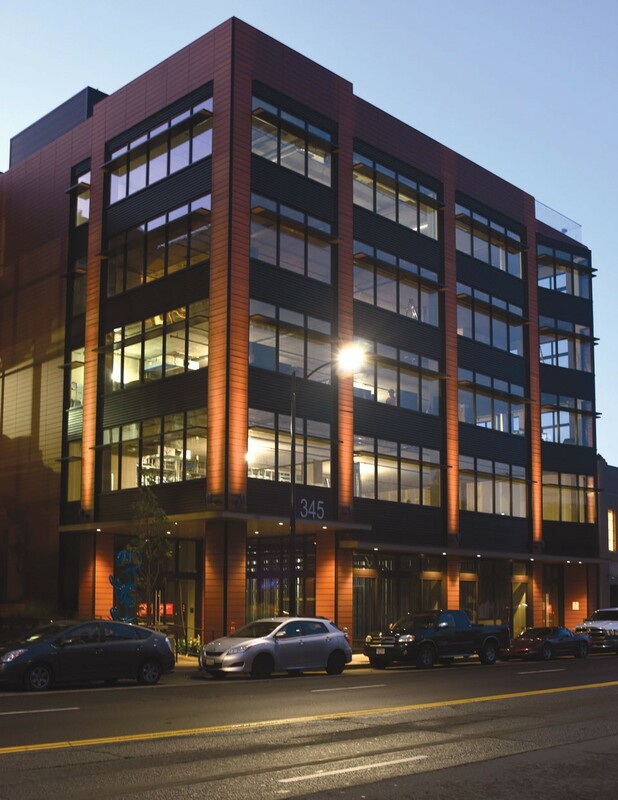 Due to the lack of large footprint sites in the South of Market (SOMA) district, Dropbox will inhabit both 345 Brannan Street and the neighboring building at 333 Brannan Street. 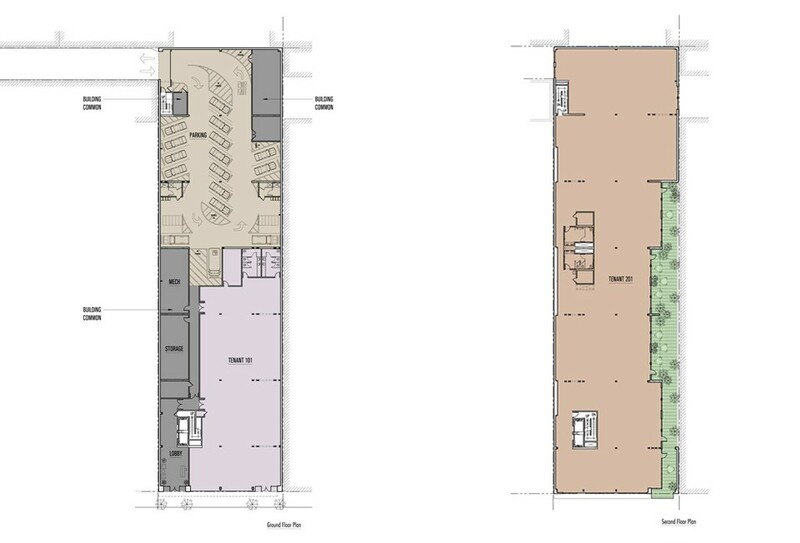 Although owned by different developers, the buildings will be linked together to serve a single tenant. Design began in 2008 as a four story building; a contemporary rendition of an industrial style structure given its proximity to the South End Historic District. 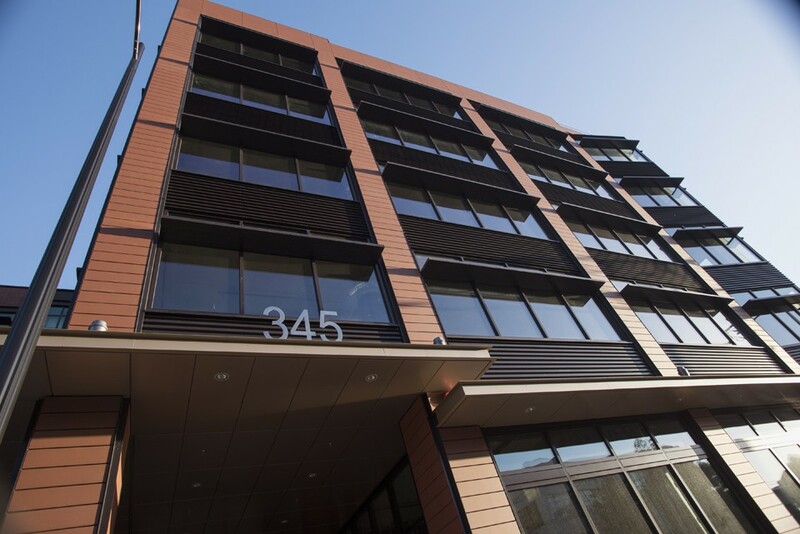 An angled bay protrudes slightly at the end of the Brannan Street facade. It faces Jack London Alley, a small connector street leading to South Park. The building grew to five stories when area was rezoned in 2010 including an increase in allowable height. We added the additional story to the building, but retained the original facade design. Like its older industrial neighbors, 345 Brannan is a long, narrow structure with regular structural bays. Unlike its neighbors, it has larger bays formed by a post-tensioned concrete, flat plate system. Vertical and lateral support is provided by an array of concrete columns and shear walls. A side core allows open floor plate fit-outs sought after by tech companies. The facade will be clad in terra cotta panels. Terra cotta is an archaic material, but the panels employed are modern, extruded planks acting as a rain screen over a simple weather barrier. Windows are large and include aluminum sunscreens that also bounce indirect light into the deep floor plates. The building is topped by a green roof and roof deck. The landscaped area acts to reduce storm water pressure on the city sewer system. Much of the rainwater will be stored in an on-site cistern, used as grey water to flush toilets. 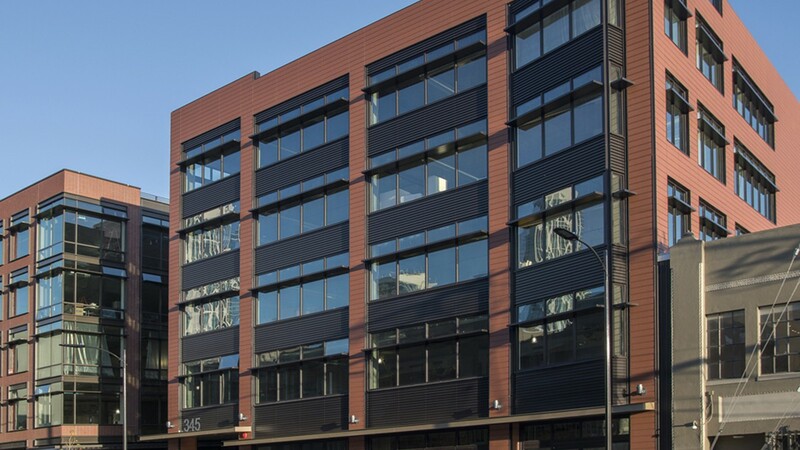 As mandated by San Francisco’s Green Building Ordinance, 345 Brannan has been designed to meet LEED Gold standards.